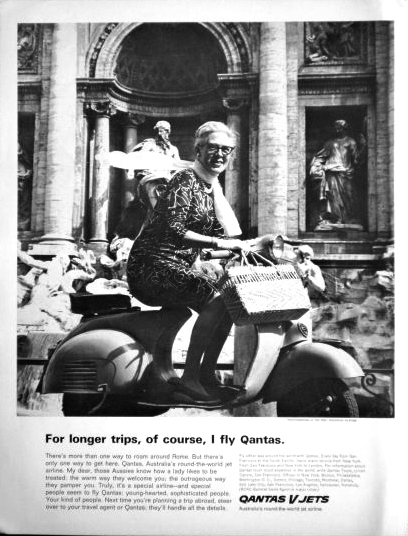 And here we have a 1964 Qantas Airline ad that shows who the Vespa was originally designed for â€” the housewife wearing a skirt with shopping to carry. This entry was posted in Advertising, Art and tagged ad, advert, qantas airlines, scooter, vespa by Tracy. Bookmark the permalink.